My 21-year-old son was in Italy this past year on a study abroad program through his school at CAL POLY POMONA. And having grown up with wine around him much of his life (ahem… he didn’t taste anything until he was MUCH closer to his current age), he developed an affinity for wine. Yes, he was exposed to some mid-priced and expensive wines early on… but with the understanding that wine and the relationship to its price can be a funny formula to figure out. A “good wine” is only a good wine if the people that are drinking it like it… and find it to be a good value. There are some very good wines that can be purchased for under $10 and even more that are under $15. Laurent has already mentioned one in a prior post. There will be more of this discussion at a later time. But what dictates the price of the wine? And what makes it worth what it costs? I have found some wines are just overpriced for what they are and won’t buy them. I have also found some wines that could charge a bit more and I wouldn’t have a problem paying a few more bucks for them. Ultimately it comes down to your own palate and your own wallet. Sometimes, special occasions call for special wines. Special wines can be a little more costly, but you don’t drink them all the time… and that’s what makes them special. Usually these wines are small production and age a longer time than less pricey wines. The longer the wines sit in the barrels and age, the more money they will be by the time they hit the bottle. The longer they sit in the bottle, the more money they will be by the time they hit the shelves. And then if you have the patience for a higher priced wine, let it sit in the bottle for a while after you buy it because that amazing wine will only get more amazing as it ages. Please keep in mind optimum wine storage conditions to protect that investment. Think of it in terms of the work that the farmer took to grow the grapes and the winemaker took to create the wine, along with the magic and science of the winemaking process itself. Learning a little wine patience is a good thing. The easiest way to learn this is to buy two bottles of a real good wine. Open the first bottle with another person (or two) right after you buy it. Drink the wine and really work on trying to remember the experience – the tastes, the smells and the way the wine changes throughout the course of drinking the bottle. It may be helpful to log the experience if you want to get a little more detailed. Then wait two or three or five years… And then pull out your notes, invite the same people and open the second bottle and see if you can see, feel, taste and experience the difference. If the wine does what it’s supposed to do, then the whole experience will be that much better. The tannins in the wine will be softer, the nose (or smell) will be bolder, and the changes throughout the bottle will be amazingly better. This will be the perfect process of learning and understanding why “sitting on” certain wines can pay off for you in a big way. Of course, don’t do this with all of your wines… And certainly don’t “sit on” white wines for very long. Contact the winery if you want to know about optimal waiting times. And please keep in mind storage and proper temperature. I have had wine go bad after a few years even though I thought the storage was correct. I learned that early and way too often… but I think I have finally solved that problem. 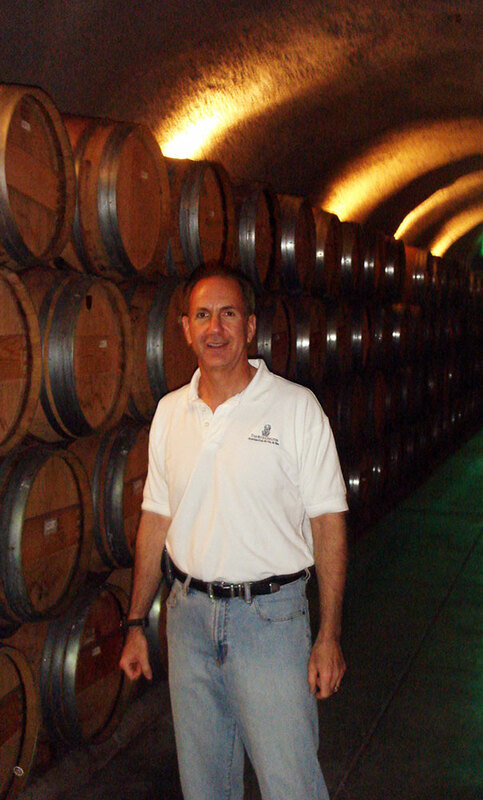 I have had the opportunity to enjoy the knowledge base of Steve J’s wine expertise…from the US and British Virgin Islands through Italy/Spain and across Sonoma and Napa Valley regions…As an admitted but venerable amateur in wine understanding/selection, It will be a great pleasure to tune in as he begins to share his favorite appellations with those who would wisely follow his subsequent wine blogs. Thank you, Steve, for your consideration and foresight in this initial installment of what promises to become a significant learning opportunity for the “wine connoisseur” in each of us! Yes, wine is about time and time is about money. Aging is expensive and that’s a very relative price point for a wine. understand wines and their variable personalities.